There are two interns at the Royal Norwegian Embassy in Kathmandu, Nepal. Luckily for us, our responsibilities go somewhat beyond fetching the coffee. The diplomats and local counsellors are keen to include us in all sorts of events – from meetings at UN House to receptions at the Ambassador’s residence. We’re becoming experts at being the least important, least interesting people in the room. It’s hard not to get dejected when you’re introducing yourself to some civil society big-wig, and stating your name and job title is directly followed with “oh,” and the other person’s interest in talking to you visibly plummeting. Especially when they go on to unsubtly excuse themselves and slink off to talk to the UN executive or important local politician at the other side of the room. You don’t want to be the only person asking the waiter for wine if everyone else is on soda water. Nobody else is going to care what you’re drinking, but it will make you feel more awkward and self-conscious than necessary. The benefit of being the least important person around is that most of the time, hardly anyone is paying attention to you. This gives you a perfect opportunity to learn by observing the people who have been in the game for years. A diplomatic reception or civil society workshop is a pretty different setting to a university party, and you should take advantage of the opportunity to learn how to behave in these contexts. You may not be very interesting (yet), but chances are most of the people you’re meeting are – and they probably know it. Development types are often very happy to talk about themselves and their work to a wide-eyed intern who asks intelligent questions and seems genuinely impressed with what they have to say. Asking good questions and active listening are key, and knowing something about the person’s field is especially useful because it will enable you to say more than “oh, that sounds really cool” when they start explaining what their organisation does. An anecdote: A few weeks back, I met the Director of a local climate change NGO at a reception, at the time only knowing his organisation and not his rank. I engaged him in a discussion about the integration of social and natural science in environmental work and the importance of smallholder agriculture (both personal areas of interest). He ended up inviting me to a workshop a week later, where I sat starry-eyed listening to people debating a climate change adaptation programme I’d be happy to start working for tomorrow – an opportunity I never would have gotten if we hadn’t had that conversation. Do make sure you don’t monopolise a single person for too long, no matter how fascinating they are. 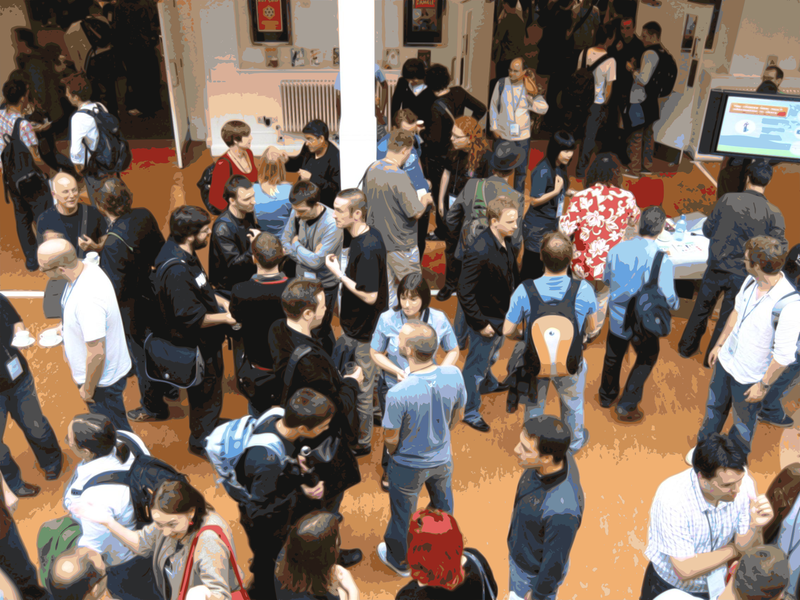 The vast majority of the time, networking events are for mingling and circulating, not long in-depth debates. Better to take the person’s contact details and continue the conversation another time. The people I’ve found are the most dismissive when I say my job title are often my fellow bottom-rung hangers-on, who have come to these events purely for the purpose of career climbing. Not only is it annoying for the people you spurn, but it’s painfully obvious to everyone else if you spend your evening making beelines between every executive you can find, handing out business cards like SWEDOW. Just be subtle, and be aware that people who aren’t Directors can be equally as interesting to talk to, if not more. If you’ve tried to engage the big-wigs without luck, you can always just seek out any other interns that are there. Receptions often have free drinks, so why not create a party within a party and make some friends instead?